I am not sure what it is like in other areas of the UK, but around the West Midlands and North West I am witnessing no end of new developments popping up. Coupled with this houses are selling (admittedly the deadline on landlord stamp duty no doubt stimulating this in the fourth quarter). With the government releasing brown sites for development and allocating a percentage of plots to affordable housing, the below would seem to highlight more than just a snag in the master plan. A lack of short-term finance for developers could threaten the government’s ambition to build 200,000 homes a year. Banks lent £16bn to developers in January 2016, compared with £34bn during the same month in 2014. “Property developers need finance to start projects and most traditional banks are unable or unwilling to provide it,” said Funding Options chief executive Conrad Ford. “On current trends there is no chance” of the government meeting its target of building 200,000 new homes a year. “This collapse in bank lending to developers cannot be helping the housing crisis – the more difficult it is for developers to secure finance the fewer properties will be built,” he said. 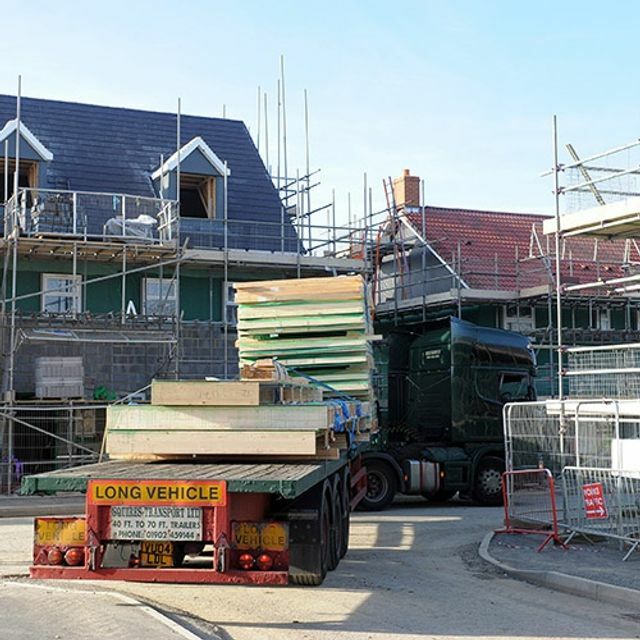 The research comes after one of the country’s leading housebuilders warned that housing supply was likely to struggle to keep up with demand.